Lately, it seems Hollywood is all about the rebranding and remaking of hit movie franchises. Typically, we feel pretty meh about this forays. With the exception of Ghostbusters: Answer the Call they always seem sort of superfluous. That is until we saw the trailer for Ocean’s 8. Who doesn’t want to see some of Hollywood’s best actresses in a heist movie? For Ocean’s 8, we really wanted to create a cocktail recipe. In the trailer there are a few references to cocktails and champagne. Initially, we thought about doing a martini but that was a little too Las Vegas. With this film taking place at The Met Gala we decided to go with champagne. 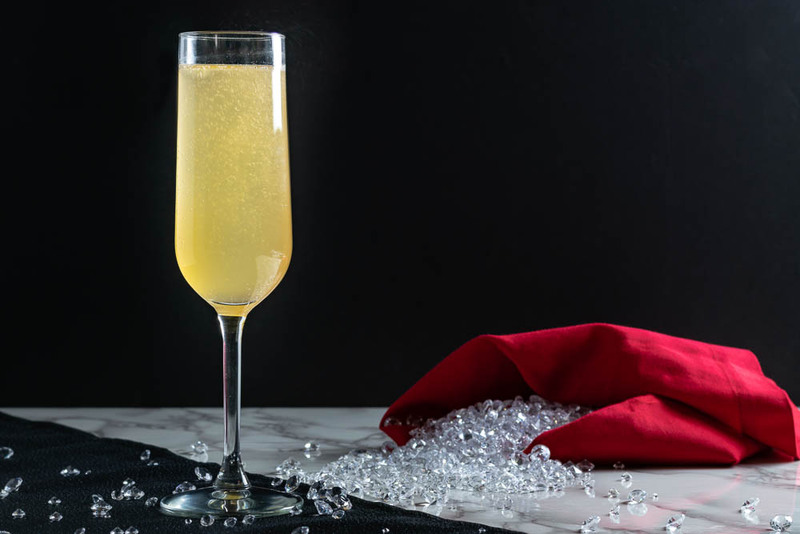 We took the classic cocktail The French 75 and made a few changes (changing the juice and sweet component) making it The Ocean’s 75! We hope you enjoy our cocktail! 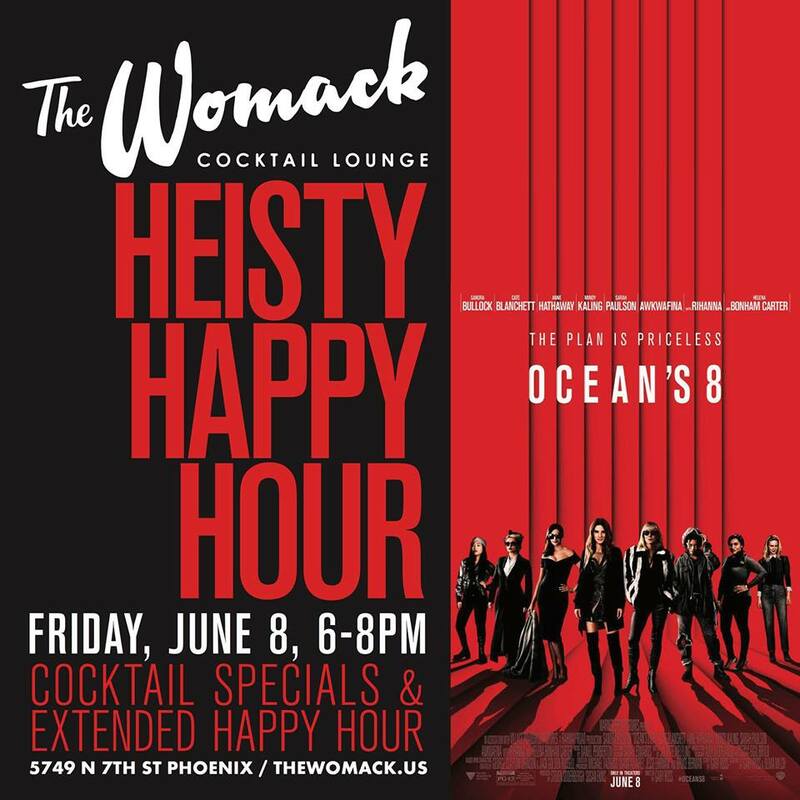 If you don’t want to make one yourself, head over to The Womack on June 8th for a special evening to celebrate the opening of Ocean’s 8! They will offer a movie themed $8 specialty cocktail menu and extended happy hour until 8pm! They will also be giving away Ocean’s 8 movie swag and free tickets to check out the film! Stir first three ingredients over ice in a cocktail mixing glass. Double strain into a champagne flute. *The Geeks were not compensated or given any comped items to facilitate this write-up; Opinions are wholly our own. View our Disclosure Policy for more info.